The Civil Liability Act 2018 makes significant changes to the personal injury compensation system. In outline, it has three principal objectives. provide for a tariff of compensation for pain, suffering and loss of amenity for whiplash claims. The final tariff will be set in supporting regulations via the affirmative procedure following Royal Assent. The purpose of these changes is to try to reduce the cost of motor insurance for motorists in general by reducing the numbers and amounts of such claims. Thirdly. the Act requires insurers to provide information to the Financial Conduct Authority so that the government can assess whether they have passed on savings as a result of the Act to their customers. The whiplash changes were in particular strongly resisted by personal injury lawyers. Whether the rules achieve their objectives will have to await their implementation. The whiplash changes are due to come into force in April 2020. In the civil jurisdiction, existing processes can be protracted, inefficient and costly. The Government’s aim is to create a system that enables people to manage and resolve a dispute fairly and speedily. This will involve more mediation and fewer hearings. 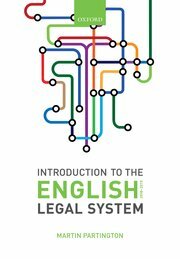 It will involve simpler processes and online routes into and through the courts – providing good quality digital systems to support the civil system, which at present is very paper-heavy, and allowing the kind of digital working in civil courts that legal professionals and others have become used to in the criminal court. This project started by developing a digital service that allows users to resolve civil money claims in a simple, accessible and proportionate way. the new online service and by March 2018, 1,500 claimants issued claims within it. Over 80% of those users, including claimants and defendants, told us the service was very good and easy to use. Further evidence suggests that the online system has improved access to justice, with engagement from defendants being higher than in the traditional civil money claims service. on 26 March 2018. As well as allowing issue and defence of claim, the system allows without-prejudice offers to be made and accepted (and constructs agreements based on these offers and acceptances). 90% of users of the service since March have been satisfied or extremely satisfied with the new service. A version of the system designed to support legal professionals who are managing multiple claims on behalf of their clients, is currently being tested with 10 firms. This should be rolled out later in 2018.
and settlement; upload of evidence; giving judges the facility to decide cases ‘on the digital papers’ but also to ask questions and seek clarification from parties; as well as providing the digital underpinnings for cases going to and through hearings. The assured shorthold tenancy possession claim process will be made digital. As a first step, administrative processes will be improved, automated and streamlined to make them more efficient and reliable. The project will start formally in October 2018. This project aims to deliver a digital case management system for the civil jurisdictions of the High Court and Court of Appeal, Upper Tribunal, the Employment Appeal Tribunal, Regional Business and Property Courts and District Registries. digitally and presented digitally at hearings. The project began in June 2018 and aims to deliver the new case management system to 2 of the jurisdictions this year. A fourth project, on enforcement of judgements, has been put on hold. In October 2017, the Civil Justice Council published an important consultation paper on the future of ADR. The stage has been reached where in various categories of dispute in England and Wales (notably family and employment) the parties are actually required to take steps directed solely to exploring settlement. Nobody in these systems is required to settle, but they are required to commit time and often money to exploring the possibility. (d) costs sanctions being imposed after judgment in the relatively rare cases in which one party can establish that his opponent has unreasonably refused or failed to mediate. (e) the Courts’ acknowledgement that litigation lawyers are now under a professional obligation to advise their clients of the availability and advantages of ADR. Almost all of these measures are well crafted and well thought out. But in our view the system as a whole is not working…. The Paper then goes on to ask whether the time has come for a different approach. While noting that online dispute resolution may offer effective ways to resolve disputes, the Paper acknowledges that at present we simply do not know what that new system will look like. the Court should promote the use of ADR more actively at and around the allocation and directions stage. We think that the threat of costs sanctions at the end of the day is helpful but that the court should be more interventionist at an earlier stage when the decisions about ADR are actually being taken. We think there should be a presumption that in most cases if parties have not been able to settle a case by the directions stage they should be required to bring forward proposals for engaging in some form of ADR. ultimately be more important than any tuning of the rules of civil procedure. 1 To be successful, the judiciary must be supportive of the idea of promoting the use of ADR. If they are not supportive, then they will be less interventionist than the paper is suggesting they should be. 2 The judiciary need training in what ADR actually is and how it can be used as a dispute resolution tool. We ran an experimental workshop in which judges took part in role play exercises using ADR techniques. Having a ‘feel’ for the power of ADR in helping parties reach agreements should overcome judicial scepticism – if such still exists – about its value. 3 I think that consideration be given to rebranding Courts as Court and Dispute-Resolution Centre – which happens in some other countries. This sends the clear message that ADR is not something separate from the courts but integral to the Courts’ function. 4. It might be possible that a cadre of judiciary could train as ADR providers and undertake some mediations. (They could not of course hear cases that failed to settle.) But parties might be more willing to accept a process led by a judge rather than someone outside the Court structure.